Oliver’s Landing in Hickory, North Carolina has 350 homesites on 306 acres with lakefront, lakeview and golf course views. 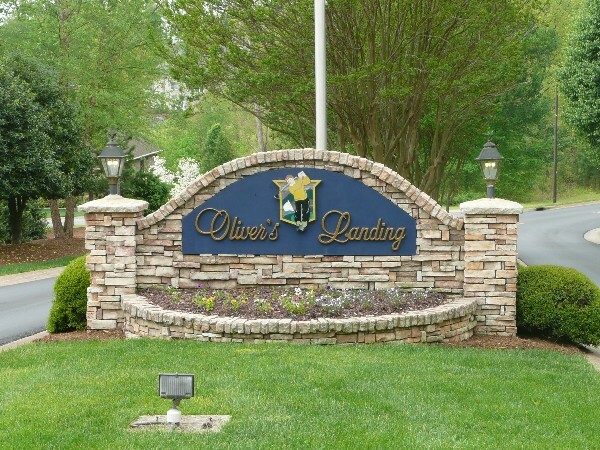 Oliver’s Landing is made up of two communities: Villas at Oliver’s Landing, single family homes; and Woodlands at Oliver’s Landing, an active adult community for those 55 years of age or older. Lake access to the 4,100 acre Lake Hickory allows residents to fish for bass, crappie or catfish. The community has an 18-hole golf course, 6,600 yards, par 72. A paved private boat landing with day slips is accessible to Oliver’s Landing residents. There are many amenities available to residents including: bridge clubs, book clubs, golf clubs, gardening, golf, boating and fishing. In addition there are planned activities throughout the year such as a progressive dinner, wine tasting party and pontoon boat party.